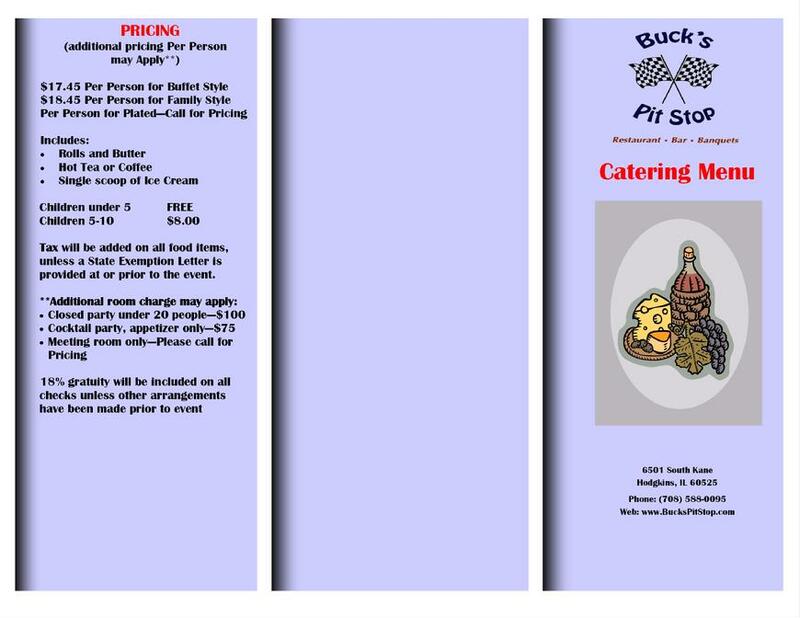 Buck's Pit Stop offers a Banquet Room facility to accommodate all of your party needs. Seating small groups comfortably in our private room. Choose a buffet , family style or seated meal. Bar packages are available upon request. 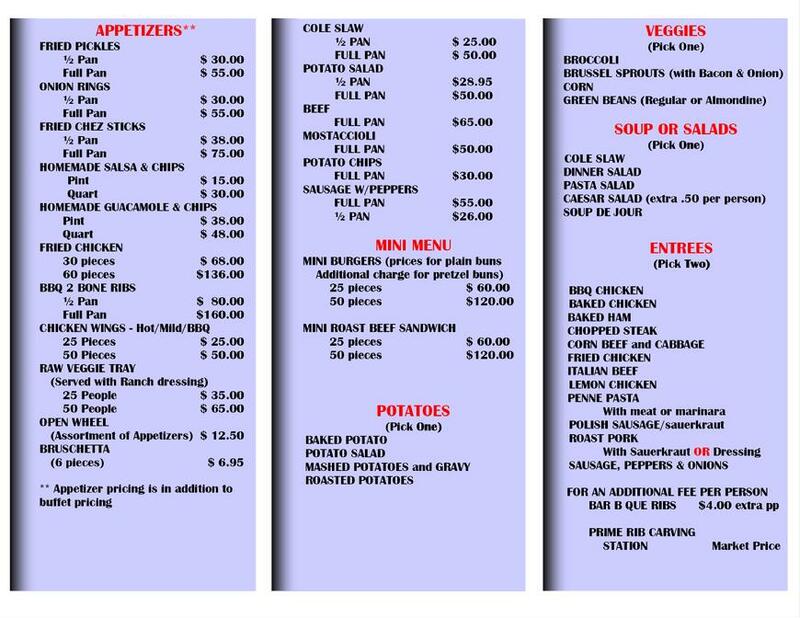 Our Catering Menu offers up many options for your party needs. Let us customize your party for you. Give our catering experts a call today.